Amidst much, gnashing of teeth at his words and hearty guffawing at his stumble into an ornamental fountain, the irony of the Premier League Chairman talking about the theft of the game was not lost on me. Richards himself is a prime exhibit of all that is wrong with the commercial, yet conversely archaic, behemoth that football has become. A man with no great record in business (his engineering business went into administration) takes over the running of his hometown club. A willingness to be a central figure, to talk to the media, to be seen and heard by the connected people, whilst behind the scenes barking orders at his minnions like a Bond villain with a cat in his lap. Then once his public exposure and pleasantries have allowed him to reach the position he wants, he walks away leaving behind a trail of financial decisions that lead to a financial time-bomb from which the club would struggle to recover. Richards cast little thought to the club he supported as now, thanks to Ken Bates, he was on the Premier League board and on a fast track to chairmanship. He was the kindly faced uncle, the media friendly figure to wheel out on big occasion whilst remaining subservient to his paymasters. The fact he then received a knighthood for services to football, must owe more to friendships in government and sporting authorities than any real achievements. I challenge you to name one success, one achievement that can be attributed to Richards' stewardship or initiative. 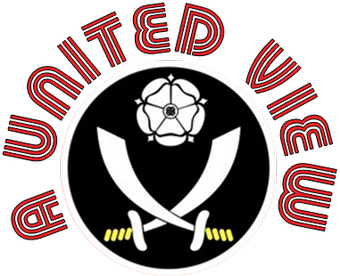 As a Blade I should revel in the catastrophic contracts and commercial decision making Sheffield Wednesday undertook under Richards' stewardship, which took them to the brink of administration. And in a purely tribal way I do, however Richards is not a lone figure wreaking havoc . There are chairmen like him all over the country, the ones who demand the media attention above that of those on the pitch, that place personal attention above the club they profess to love. The game was lost to its people, the fans, twenty years ago. When matches started being played at 12pm on a Sunday, or that trip to the other end of the country was moved to Friday night for TV. That's before Europa League games started kicking off at 6pm to maximise the number of televised games. Fans cannot associate with player salaries or lifestyles. They cannot understand how failed businessmen are allowed to take over their club, when the authorities have rules in place to stop them. Why claim to have Fit & Proper rules if they are such a blunt instrument and reportedly too financially prohibitive to administer? Then these same businessmen fail to pay over the tax that these supporters don't think twice about paying over in their everyday working and business lives. As the club enters administration, it's the players and clubs who are protected, not the local businesses who have supplied them and could be put out of business themselves, not the local people exploited and paid a pittance for the pleasure of taking on menial roles for the club they love. Then, every so often, the authorities and Premier League get involved, but only when they have their "product" to protect. Everyone else affected….forget it. Yes, maybe I look back at football twenty years ago with rose-tinted spectacles. Not all was good in the game, but everyone had an opportunity to watch their team play, very few were excluded through price discrimination. Football was a game everyone could play and watch and feel a part of. Football was stolen away from the man in the street 20 years ago. It raised little stir at the time, many couldn't see it. A small petty theft, glossed over with the distraction of cheerleaders, half time entertainment and flash presentation. Once the thieves realised they had got away with, they looked at the mark and the plans became grander. The grand con was on; what we can now see was a staged heist of our sporting jewels. The game is now a "product", supporters are "customers" on "loyalty databases" measured by how much you can spend, those excluded by financial hardship sniffed at. And then the coup de grace - The 39th Game. Add an extra game to the season, only to take away the opportunity for the supporters, who spend a high proportion of their wages following their team all season, to see it. All for the money and opportunity to take the "product" to the "geographic markets" that Richards so widely offended with his jingoistic comments yesterday. His clear conflict of interest, between roles at the FA and Premier League, brushed under the carpet whenever it was raised. The FA is now impotent in the running of the professional game, it has admitted as much recently. The subservience of Dave Richards to his Premier League paymasters makes him wholly complicit in allowing it to happen. If he is looking for a thief, he doesn't have to look far. The thing is, I am not sure he is intelligent or self-aware enough to see it. He certainly didn’t see that ornamental fountain. Well said. Even before last week it was a disgrace people like Richards were allowed to speak for English football. The only thing he represents is failure.